Thinking visually can boost creativity. About how to boost visual thinking, you can obtain many answers here. Edraw soft is a creative design company that specializes in making and offering solutions to visualize difficult or complex ideas. It is well-said by Publilius Syrus that the eyes are not responsible when the mind does the seeing. Sometimes pictures speak louder than words. If you use effective infopgrphics, you can inform, influence and inspire the audience better. Edraw helps you gain such infographics with minimized time and effort. Visual thinking is also called visual/spatial learning, picture thinking, or right brained learning. Wikipedia defines it as the phenomenon of thinking through visual processing. Another definition is seeing words as a series of pictures. It is commonly recognized that a picture is worth a thousand words. It helps people to learn more efficiently and effectively. Visual thinking enhances independent thinking. This way also boosts inspiration and creativity. Visual thinking results also facilitate better conveying of information and idea communication. You can try visual thinking in 4 "M"s aided by Edraw. (1) Metaphor - Give full play to metaphor in visualization. (2) Model - Design models that make your ideas tangible. For example, to compare the comprehensive competitiveness of 5 cities, Edraw offers you an incredible example. 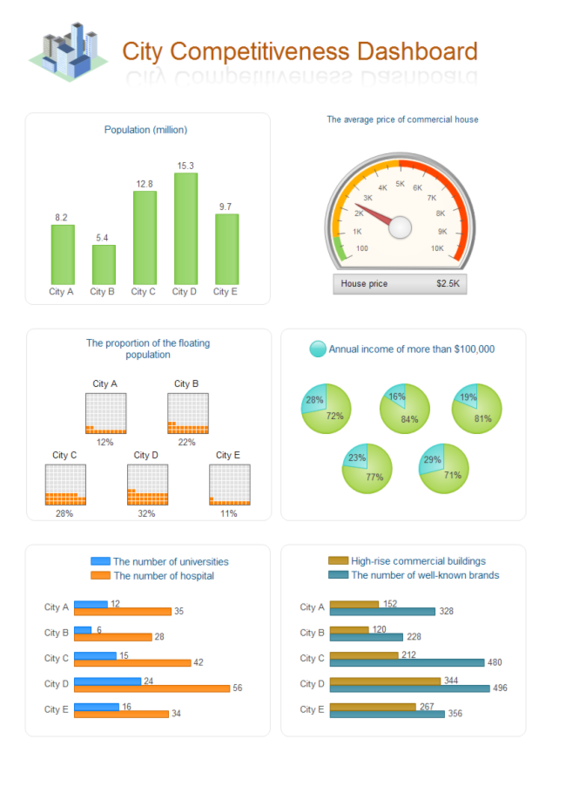 It integrates the power of column chart, bar chart and gauge chart in one single diagram, comparing the cities' population, house price, number of universities and annual income and so on. In this way, readers can read and think visually, thus they can understand much easier than raw numbers. 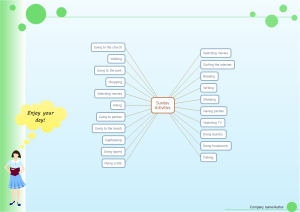 (3) Mind Map - Parlay mind map into brainstorming and creative thinking tools. Mind map are tailored for boosting ideas. Check out an example made by Edraw firstly. Drawing this mind map in Edraw takes less than 10 minutes. All the shapes are generated automatically. What's more, you don't need to worry about connecting shapes. Edraw do it for you. 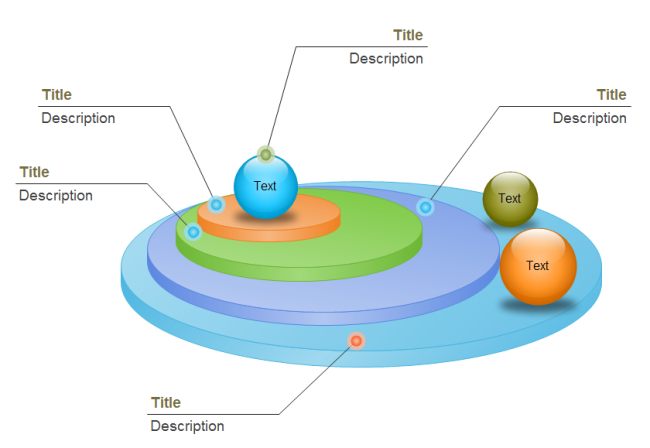 All you need to do is typing in text, applying a mind map theme and inserting the clipart. 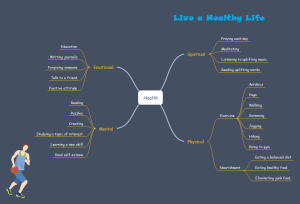 To learn such an easy way to create mind map, click here. More mind map templates are also offered here for your reference. Use them to help you brainstorm like no other. Click each picture to view its large version. (4) Manifest - Make things visible and obvious to the eye and mind. Few people are willing spend much time in complicated things. Explore how Edraw can help you manifest complicated things, now. 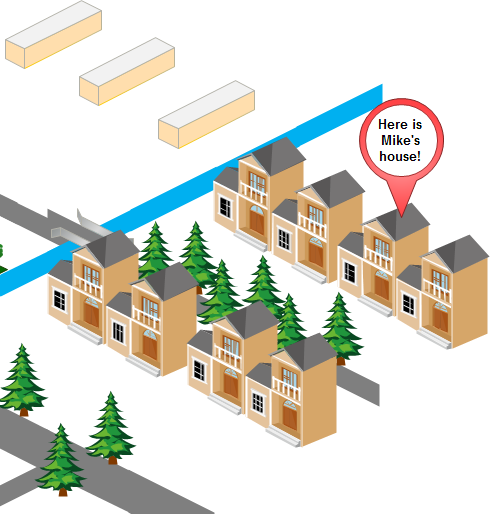 Aided by Edraw, you can make good use of 3D shapes to inform location information clearly like this example. And you can apply callout shapes to manifest specific points as shown in the following example. A vivid diagram will exert bigger influence on people. Download Edraw to own all the above mentioned infographic diagrams. From now on, you can practice visual thinking extraordinarily easily.